There are 15 weightlifting events at the London Olympics - eight for men and seven for women, according to different weight categories. A total of 156 men and 104 women will take part in the Games, with a maximum of 10 from each nation, and no more than two per nation in each of the 15 events. Qualifying begins at the 2010 World Championships in Turkey, in September, where each country's teams of athletes can start earning points. Athletes earn points on behalf of their home nation, and those points are added to points earned in the next World Championships, in 2011. Those total scores are then used to rank each country according to how well they did in the two World Championships. The two World Championships cater for 175 qualifying places that way, but there is then a continental championship stage in early 2012, where countries yet to earn quota places for the Games may obtain them, according to their position in the team classification at the end of their continental event. Eight men and seven women can then qualify through their individual ranking if the other methods have failed to earn them a place. The Olympic qualification ranking list, published on 31 May 2012, will determine who these athletes are, according to their performances in major events between June 2010 and May 2012. However, only one athlete per gender, per country is allowed to qualify using this route. Finally, world governing body the IWF has 10 invitational places to hand out - 9 July being the deadline to receive one. 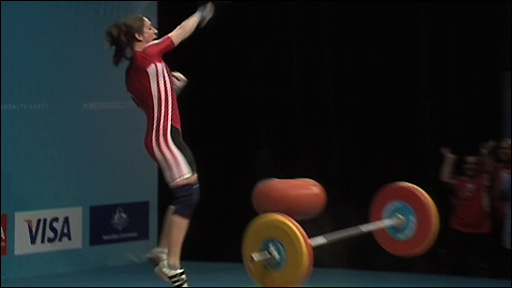 As the hosts, British weightlifters have already received three men's quota places and two women's places for the London Olympics. The GB team must allocate these places to individual athletes by 10 June 2012. The IWF's qualifying rules suggest British athletes will not accumulate team points at World and European Championships, so GB lifters will not feature in calculations for more qualifying places at those events as outlined above.